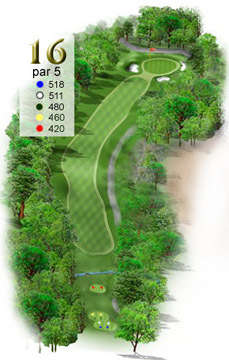 Par 5, slight dogleg right the last 100 yards. Up the hill then a little to the right. Just off the tee there's a little run but it shouldn't come into play. 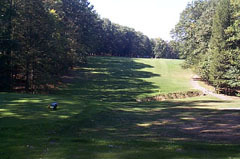 If you slice it you may end up in the driving range and finding your ball could be a difficult task. A good hole for that birdie you've been looking for.